Multi colored surface covered with beautiful geographic designs is fitted with state of the art nozzles that squirt water when set off by a manual activator. 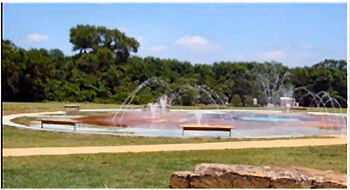 Park benches have been placed around the splash pad to accommodate visitors who stay for hours. The splash pad is opened in May of each year and is available six days per week (It is closed on Tuesdays for maintenance) until after Labor Day. There is no charge to the participants and there is no age limit. Splash pad, playground area, a skateboard park, picnic tables, a pavilion, and restrooms. 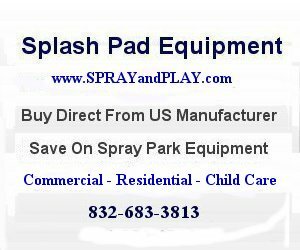 This entry was posted in Oklahoma and tagged Austins Big Splash, Dane Park, Noble, Oklahoma, splash pad, spray park. Bookmark the permalink.